Off the responsibility of planners and planning? « Migrants, réfugiés, camps d’urgence : les urbanistes n’ont-ils rien à dire ?« . The text of Frank Eckardt is very inspiring. It touches the essence, I think, of how problematic has become urban planning as we move beyond a state of eternal and ever-increasing growth in our (more or less) Western cities. A ‘plannable and certain future’, as Frank Eckardt puts it, is certainly far away from the societies of risk1 in which we actually live. Even more so, now that Europe needs and has the moral (and not only) obligation to deal with the refugee crisis. Yet, in here, I tend to disagree with the idea that we were unprepared for the influx of refugees in 2015. Perhaps urban planners were uninformedor – even more probably – they might have felt unconcerned by these major influxes. Yet, politicians and stakeholders were not, even if the mainstream public discourse has been indeed pointing on the unpreparedness of cities and states. But, is it really so? Migration experts and scholars kept informing us, in the recent years, about the state-of-the-art in international migration. Even more importantly they kept warning about the costs – material, human and in terms of efficiency – of the migration policies of the European Union2 and of its relations with third countries, in particular those adjacent to the Union. In brief, countries such as Turkey, Ukraine, Morocco, Tunisia and Libya have been called in the recent decades to play a role of gatekeepers to the EU, in order not to let migrants into ‘fortress Europe’, with considerable benefits in exchange (such as visa facilitation regimes, direct investments, etc. )3.In spite of this policy of the EU, the wars and political instability around Europe should have rang the alarm bell about the increasing numbers of people that would move in the neighboring countries en masse to avoid conflicts and to give themselves and their children the chances for a safe living. These conflicts are not new. The recent tragedy off the Italian island of Lambedusa on 3 October 2013, when more than 350 people died in the sea, put trans-Mediterranean migration back on top of the political agenda. However, Europe kept hiding the problem under the carpet, without shifting politics and policies; namely, to move beyond the securitization/militarization of its external borders and to open legal routes for migration, following expert recommendations. Without any surprise these same policies continue, while approximately 4,000 deaths have been reported in the Mediterranean in 20154. 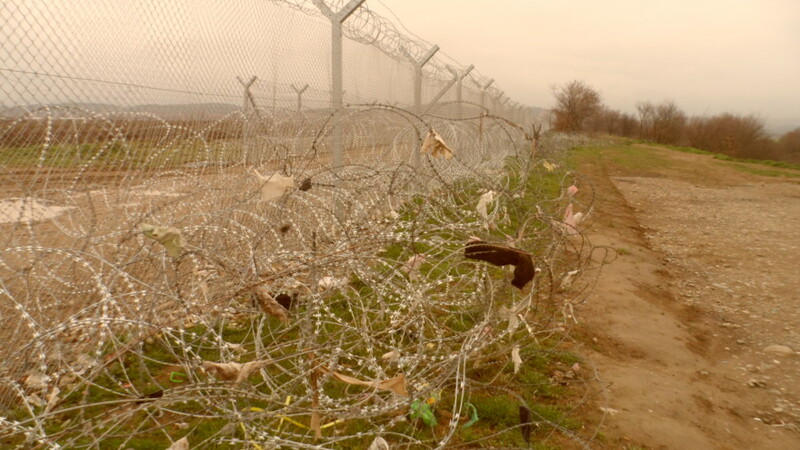 Just for the history, recall that already in the beginning of the 1990s, when political unrest in Albania made thousands of Albanians seek asylum and better living conditions in neighboring Italy and Greece, the absence or insufficiency of legal routes created massive flows of undocumented migrants who were entering the Schengen space without permission – in common language ‘illegally’. We cannot pretend that nothing has changed 20 years later. In this sense, we were not unprepared. Now, let’s go back to planning. To start, in spite of all the talk about planning as working for the ‘common good’, as Leonie Sandercock thoughtfully pointed, ‘the reality has all too often been otherwise’. Because, being a function of the state, ‘planning is one of many social technologies of power available to ruling elites, and has primarily been used to support the power and privileges of dominant classes and cultures’. Colonial planning, planning under apartheid in South Africa and in ethnocratic states today, are among the many examples around the globe that give credit to this view. Considering western cities in particular, Sandercock recalls how planning has produced residential segregation by race in the United States, and exclusion of the indigenous people in Australian cities. We should be mindful – she suggests – in that, in western cities, planning takes place in a context of racialized liberal democracies and an unresolved ‘postcolonial’ condition. In this context, ‘planners have not yet sufficiently analyzed their own role in an ever-present yet invisible cultural politics of difference, a historic role that has reinforced the power of the dominant culture as well as the dominant class’5. In this line, shall we suspect that planning – and probably part of planners and planning practitioners – is not interested in questions raised by ‘petty’, minority people such as migrants, refugees, and other displaced? Unprepared ness might be a plausible explanation or excuse for the silence of planners in what has been called the greatest refugee crisis in Europe post World War II. But the truth is that, in the many refugee camps spread now all over Greece, it is the army that has been in charge of setting up the refugee establishments around the big cities. This particular type of production of space, provisional it may be, has been left to the army – and previously to international, national, and local NGOs, without any mobilization on the part of planning practitioners, at least to my knowledge. 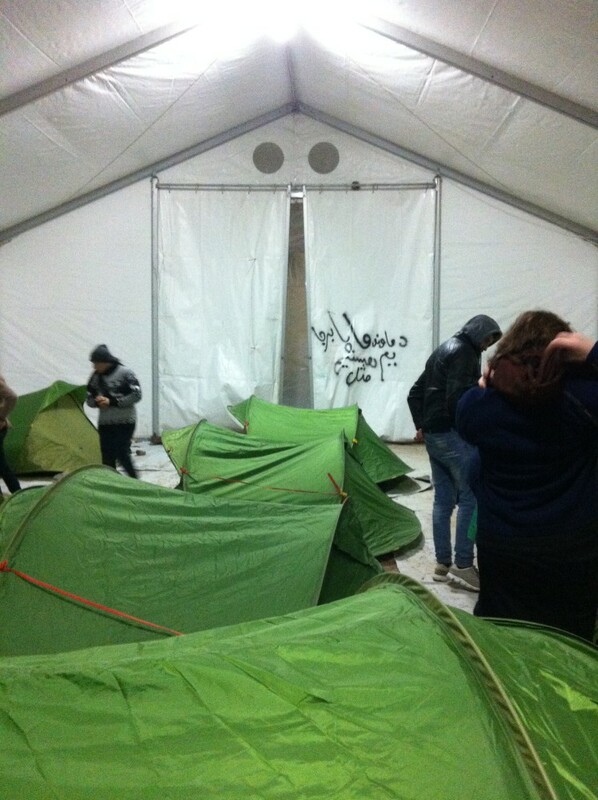 The Directorate for Urban Planning of the Municipality of Lesvos (Greece), the island of the Aegean which has mainly received the refugee flows through Europe in 2015, manifested its interest on what was going on in the refugee camps only to proceed to planning controls that demonstrated – without any surprise – the lack of the required licenses. 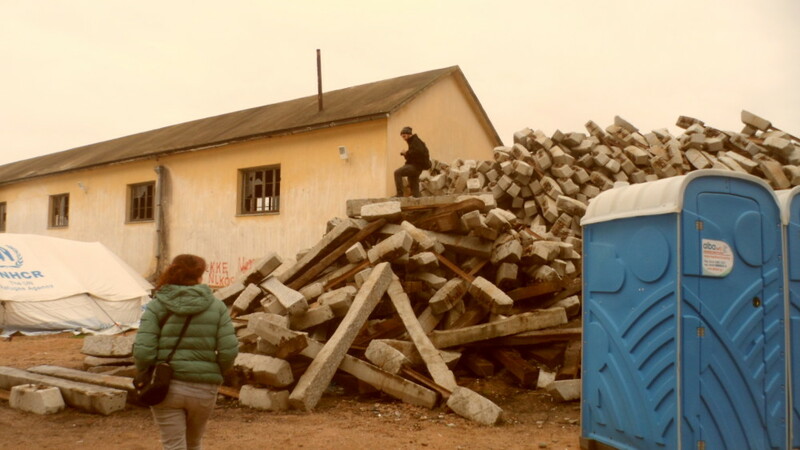 Several violations were found in the camps set by NGOs in the area between Molyvos and Skala Sykamnias, where the two official reception centers for refugees are located. There were no permits for the facilities developed by NGOs, even when interventions were as important as establishing cesspools, hutches, etc. involving considerable earthworks, all of which fall under planning legislation and bylaws6. It is of great interest that planners in Lesvos came only post-operation and only to represent the state that controls(rather than the state that plans). This should be telling of how planners and planning institutions perceive themselves and their vocation in situations like the refugee emergency in Greece and in Europe overall. It is also striking that planning administrators in Lesvos reported to the news that there was not even one request for permission coming from NGOs for licensing the establishments set. Well, I guess that in emergency situations it is rather likely not to ask for permission, and just to go ahead. But, it would be plausible to ask – reversely –how did planners facilitate the difficult endeavour of the Greek Minister for Immigration and of the numerous NGOs in Lesvos and elsewhere? 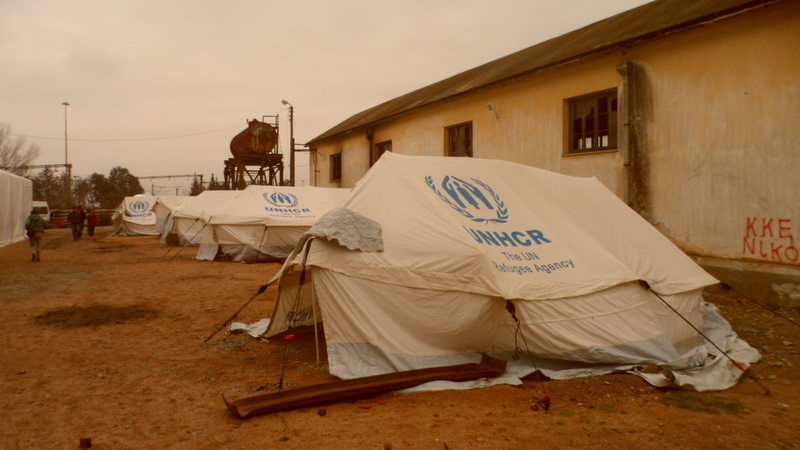 How did they contribute to work out a quick and effective plan for the decent accommodation of the refugees? 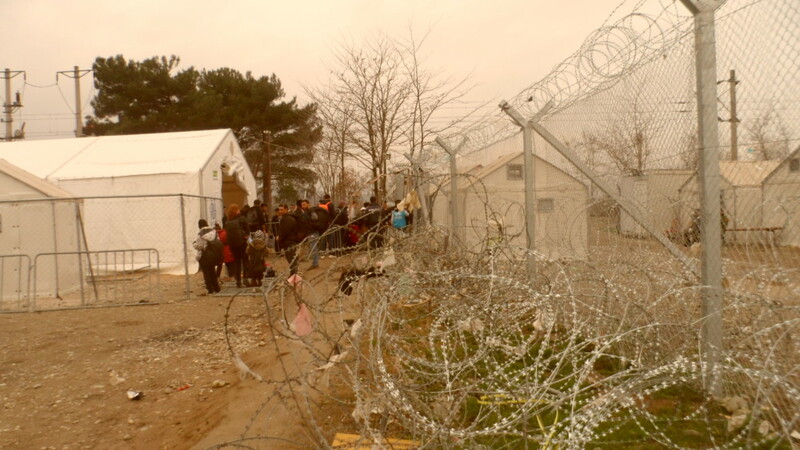 Idomeni, the Northern border of Greece with Former Yugoslav Republic of Macedonia – now closed since March 2016 –, is another example of inactiveness of planners and planning institutions. This is a spontaneous settlement7 which hosts approximately 11,000-12,000 refugees who refuse to go to organized camps elsewhere in Greece, hoping that the borders will open again and they will be allowed to move to Northern Europe (in particular Germany) through the ‘Western Balkans route’. We know that the border will not open any time soon. 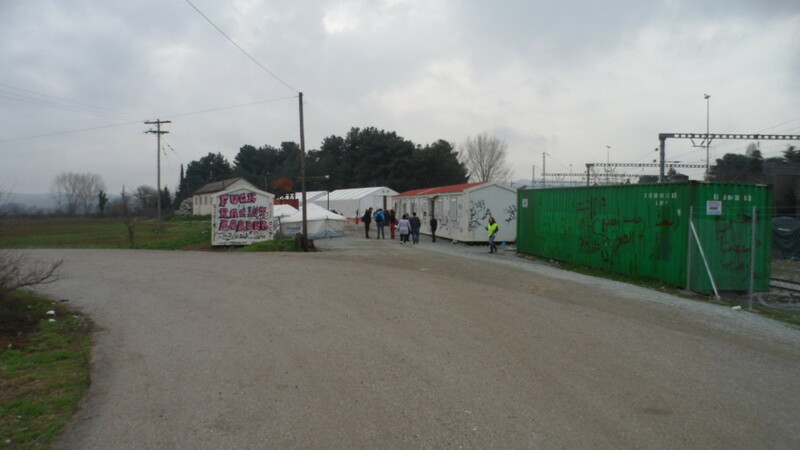 In the meantime, Idomeni remains a spontaneous refugee camp which is not administered by the state and which faces serious challenges regarding housing and basic facilities, and there for eraises issues of hygiene, public health, etc. which normally fall in the jurisdiction of planning. As Frank Eckardt thoughtfully points, planning is attached to the plan – a core element of the planning process. In this sense, it is difficult to plan for the unplanned, the spontaneous, and also for the provisional and transit state that corresponds to the actual refugee emergency. Still, what about an ‘emergency plan’? Even a year after the humanitarian catastrophe in the Mediterranean, planners do not seem to be concerned by the above issues; at least to my knowledge, they have not worked out a plan for the accommodation – even if transit and provisional – of the refugees across Greece. However, in today’s Greece where many different crises coincide, other professions such as doctors and lawyers have been very proactive: they have put their expertise in the service of those that suffer the most the effects of the crises, either refugees or vulnerable nationals8. Planners remained disturbingly silent so far. This said, I am wondering whether it is the plan that is problematic for planners, who probably need a more resilient toolkit to be able to respond immediately to emergency situations. (Other professional categories proved to be more adapted than planners to new conditions of insecurity, discontinuity and ‘crisis’. )Or, rather, the silence of planners is due to the attachment of planners and planning to the power of the dominant, that is to say how planners represent themselves and their profession. Is planning for a minority population such as the refugees (which might also be transit and provisional) outside the responsibility of planners? This is a question that we should respond in the following years, as conflicts around Europe increase rather than diminish. Besides, recall, for the history, that in the 1920s,after the Lausanne Treaty, when 1,5 million refugees came from Turkey to Greece, they were first hosted in provisional settlements – at the time, spontaneous, irregular, self-made and transit. These settlements were named after the lands left behind, and are partly inhabited today by the descendants of the then refugees; they have gradually become, from segregated and isolated settlements in the city outskirts, integral parts of today’s urban conglomerations. Beck, Ulrich (1992). Risk Society: Towards a New Modernity. New Delhi: Sage. Sandercock, Leonie (2003). Cosmopolis II: Mongrel Cities of the 21st Century. A&C Black. See the photos kindly provided by journalist and volunteer Vassiliki Mitsiniotou, whom I sincerely thank. 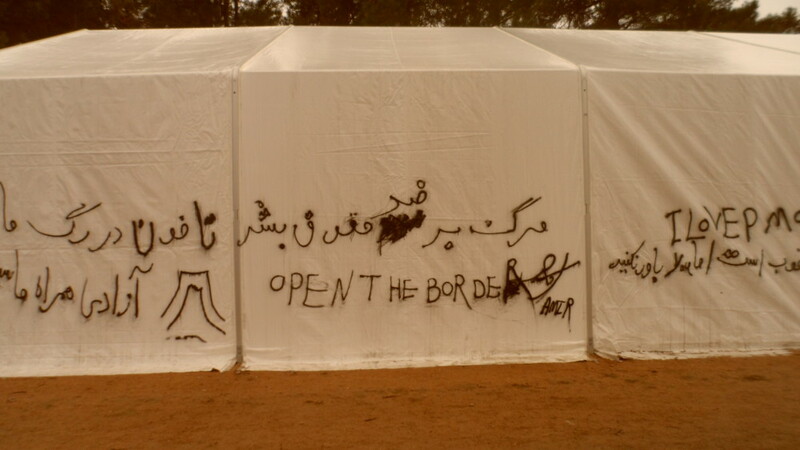 On May 2016 the Greek government started an operation of dismantling the informal camp of Idomeni, moving the refugees hosted there in newly established formal camps near Thessaloniki.